I never imagined that I would be a mother of four children. And now here I am: the proud mother of four children. Of course, this didn’t all happen at the same time as you will surely understand but this aspect of my life is certainly my most significant. Before all this I studied law and practiced law in different forms: in small firms and big firms and in the corporate world. 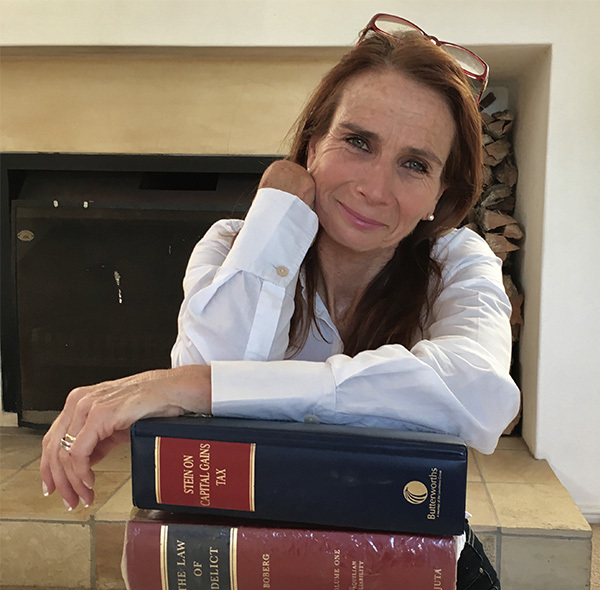 I qualified as an attorney and kept on studying; I have post-graduate qualifications in tax and corporate law and in investment and estate planning. I studied further and became a conveyancer. And somewhere inbetween, I got married (best thing) and had a few children and started writing and then lecturing law. So, now I work as a law lecturer (with a special interest in ethics) researcher and writer. And I’m a new AUTHOR. I happen to love artichokes (this is not really relevant is it?) and daydream a lot about where I want to travel to next because truly, truly, it seems such pity not to explore this beautiful world of ours. You found me somewhere on this incredible world of GOOGLE, or FACEBOOK or TWITTER or something and you quite liked what I said or thought and wanted to know more. You hope that you haven’t wasted your time reading this because really there is SO MUCH to do in this life – and I hope you haven’t wasted your time because then we agree on USELESS TIME WASTING so perhaps this is the blog for you. You want to know WHAT I WILL OFFER YOU ON THIS BLOG. (I read this on another blog , that this is MOST important aspect…i.e., you, the reader of blogs, the bloggee) I’m trying to figure this out too so give me a chance here, will you? Travel (maybe.).. or just places that interest me that I think others would like to know about that I have experienced… or not. Other contemporary issues that I feel compelled to express an opinion on. That all good for you? Hope so. Here’s me and my brood . So exciting! Thank you for your interest in my blog and I look forward to following yours.